We are forwarding information from your farmer at Golden Earthworm regarding care of the tomatoes. How to ripen your red tomatoes…Tomato season is here! We allow the tomatoes to ripen *nearly* fully on the vine before we harvest them and send them out in your shares. 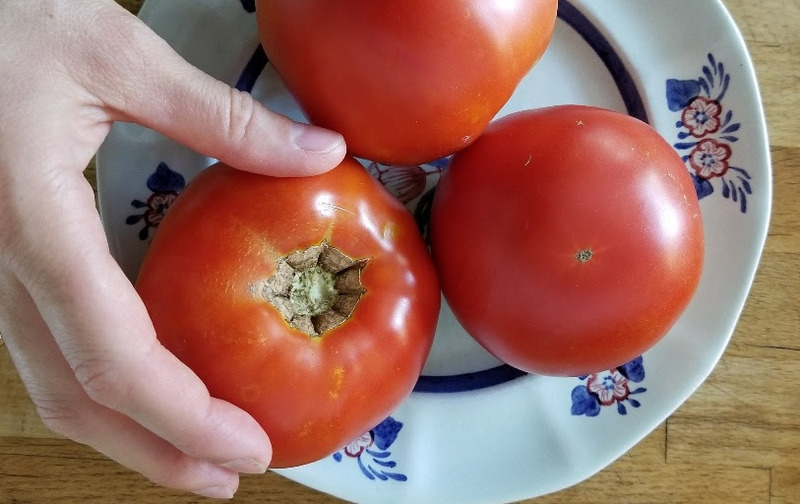 The reason we don’t harvest them fully ripened is because they have to soften first, and softer tomatoes will not survive the trip from farm to table. We ask for your help in allowing them to fully ripen once you get them home. How? A fully ripened tomato will be completely red and ever so slightly soft to the touch on the top around the stem. This will usually take a day or two once you get them home. Warm temperatures will speed up this process. Previous Flushing CSA (Week 12)! Next Flushing CSA (Week 13)!